For more information or to schedule an appointment with our Delavan chiropractor, call 262-728-1400 today! Please call the office for fastest service. 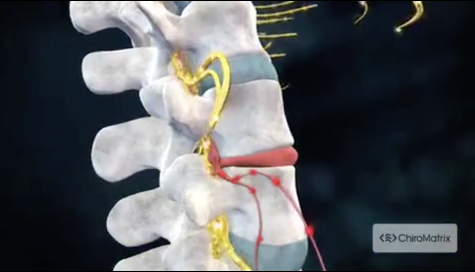 Dr. Sperling believes in fixing the source of a problem and not just the immediate symptoms. He prefers to, "fix the leaky faucet instead of only placing a bucket under the drip!" For this reason, he has a very muscle based practice. The nature of muscles to act as circuit breakers in the body and the physiological reactions people experience due to muscle imbalance, continuously motivate Dr. Sperling to restore balance through muscle release at specific pressure points. He feels that problems are trauma in nature even though the trauma may not be recognized. Since trauma effects the movement of muscles contracting and relaxing in relation to the skeleton it only makes sense that if muscles are not in balance then bones will not align as they should. Once the muscle fibers (filaments) are able to slide past one another, skeletal alignment and range of motion can be restored. Dr. Sperling focuses client visits on restoring muscle balance, adjusting extremities and then assessing for spinal misalignment. At your first visit to Joel Sperling DC LLC, Dr. Joel Sperling will explain the science behind how chiropractic care works, and give you a full evaluation to see if chiropractic care is right for you. If there is a good fit, we can develop a plan of chiropractic care that is specific to your condition and health goals. If you are new to seeing a chiropractor and want to find out more, please call 262-728-1400 to receive personalized answers to your questions from our friendly team. We also welcome referrals, so we invite you to share our chiropractic and wellness information with your friends and loved ones.